The Academy will host a special In Conversation withIFTA winning veteran actor Liam Cunningham, where he will discuss his work across both Film and TV Drama. Liam will give the audience an insight into his acting career and share his knowledge and approach to the craft across a spectrum of characters and performances over the years. Key elements of the discussion will include his work in HBO's 'Game of Thrones', ‘The Guard'; ‘The Wind that Shakes the Barley’ and Steve McQueen’s ‘Hunger’. Liam Cunningham is an IFTA-award winning actor who has had an illustrious career on screen spanning nearly 30 years. He began acting in his mid 20s and has appeared in numerous films and television shows including ‘War of the Buttons’, ‘Falling for a Dancer’ and independent horror film ‘Dog Soldiers’ as Captain Ryan to much international acclaim. He has appeared in both the highest and second highest grossing Irish independent films ‘The Guard’ (2011) and ‘The Wind that Shakes the Barley’ (2006). In 2008, Liam won the an IFTA award for Best Supporting Actor in a Film for his performance in Oscar-winning director Steve McQueen’s ‘Hunger’ opposite Michael Fassbender. 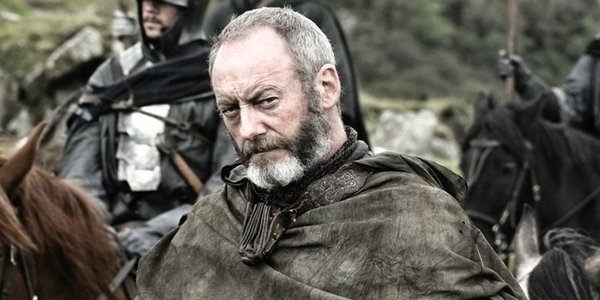 In 2012, he joined the cast of the second season of HBO’s ‘Game of Thrones’ as former smuggler-turned-knight Davos Seaworth. The international Drama sensation was filmed in studio in Belfast and on location throughout Northern Ireland since its beginning in 2011. Now entering its final season in April 2019, ‘Game of Thrones’ holds the Emmy-award record for a scripted television series with a total of 47 primetime Emmy awards. For his own performance in Game of Thrones, Liam won the 2018 IFTA award for Best Actor in a Supporting Role in Drama.